Over the summer a lot of things happened. We got a kitten. I fell in love. My column turned four years old… and the phrase “mommy, close the door I’m on the phone with my friends” kicked in. Yep, she’s becoming a teen. In a few months she will officially be one. And what I’ve observed is, well, the top of her head — a lot. Because she discovered texting — A LOT. Group texts, face chats, instagram and the occasional actual talking on the phone voice to voice. I have only myself to blame. I bought her the damn phone. I bought it so that I could reach her and she could reach me in emergencies, from her dad’s or at a friends. What I’ve discovered is the only person she doesn’t want to text is ME. Honey, how was your day? Honey, can you call me I need to ask you something? HONEY, I’M TAKING THE PHONE AWAY IF YOU DON’T CALL ME RIGHT NOW! Oh, hi mama, what’s up? Tomorrow she starts 7th grade so I suppose she is right on time with her massive desire for her social life and just a little less interest in mommy/daughter time. I know to be grateful. Even if it’s a little bit of a letting go — okay, a lot of letting go. She has an amazing group of friends. I hear uproarious giggles from her bedroom. She has birthday parties, swim days, movie marathons, bowling afternoons, ice-skating, music and so much more with these girls. They talk about books, bands and, yes, boys. And that is what she should be doing. Their conversations are private. Their laughter is from jokes only ‘they get’. Their hugs… everlasting. I had them at her age and they are still the same amazing girlfriends I have today. And we need our alone time too. Our private talks, walks and inside jokes. Our exchanges about books, bands and boys. Our hugs… lifetimes of them. So, she exactly where she’s supposed to be, doing exactly what she should be doing. And, as a mom, I am feeling exactly all the pangs of love and letting go that I should be feeling. From the moment we give birth it begins… releasing them to the world. It’s the hardest part of being a mom. Because when I look at her I still see the baby that was placed on my exhausted-yet-never-more-alive body. The blue eyes finding my green ones. The knowing that everything — everything — from that moment on was about her. Being her mom. Having the honor of being her mom. The challenges, the celebrations, the heartbreaks, the discoveries, the answers, the questions, the triumphs, the milestones, memories, moments… mother and child. And so I watch her run off, close the door, put headsets on and, of course, text. Motherhood… it quite simply takes my breath away. Hi Susan- it’s always so nice to take a few quiet moments to read your column. 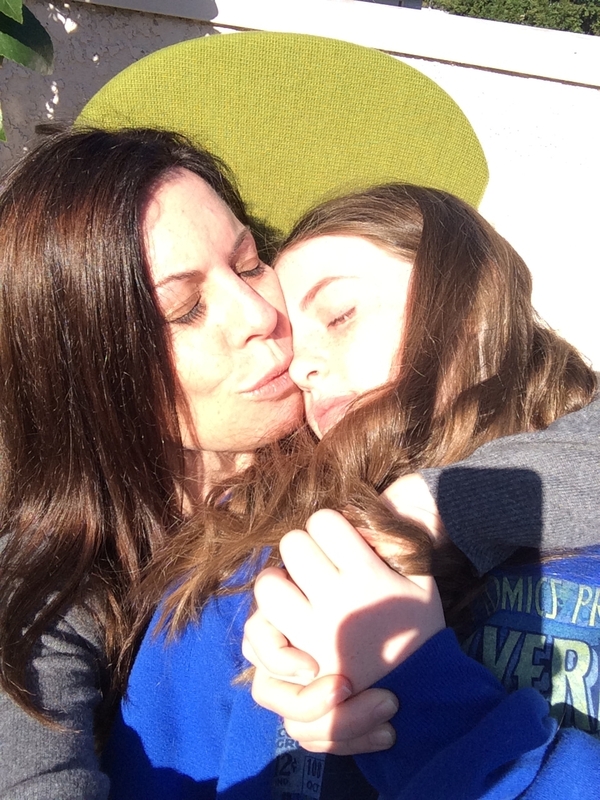 I am reminded of what a privilege it is to be mom. ..7th grade, here we come! Beautifully written and very mature about a tough transition time for us moms! Wise of you to recognize she’s doing what you did at the same stage of life and wise of you to not fight it.